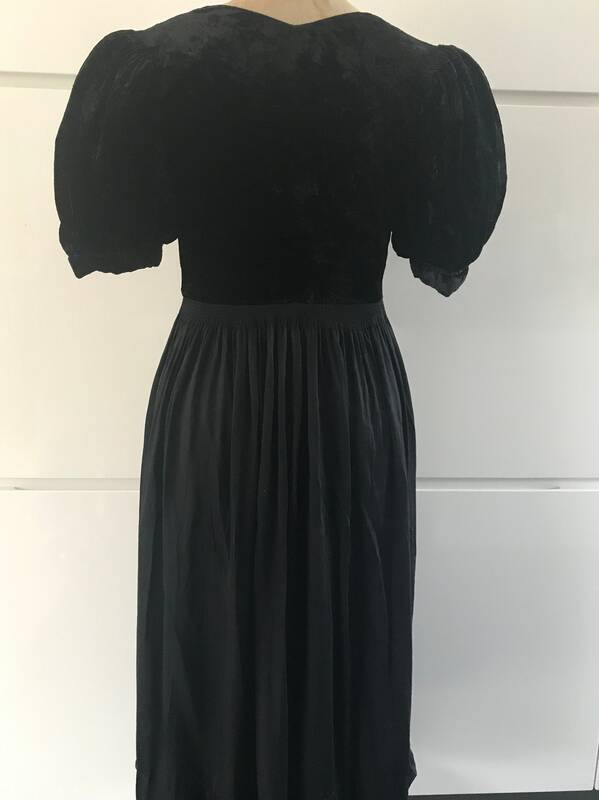 Label says 44, is propably an Italian size. 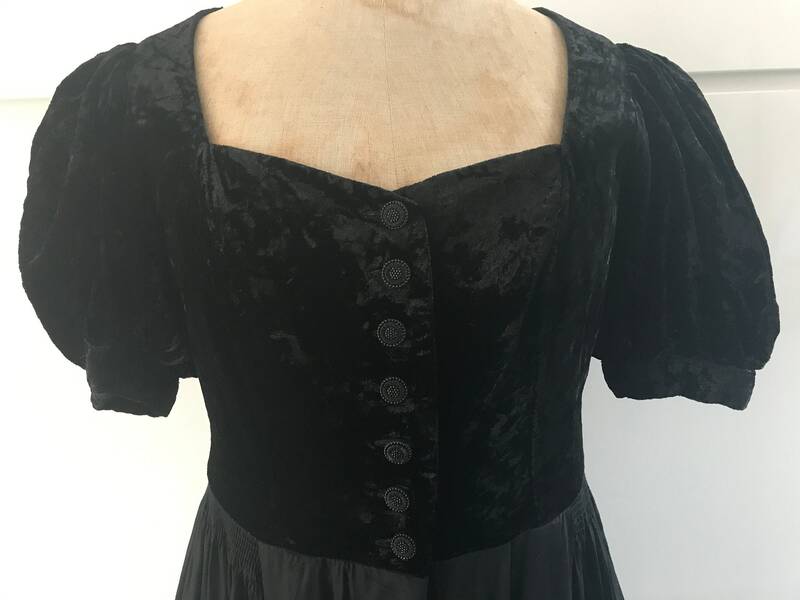 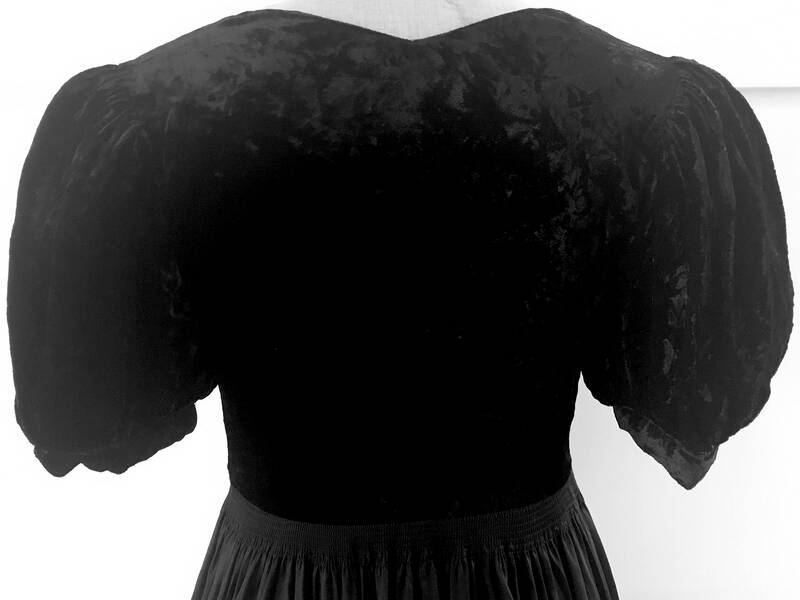 Upperbody of the dress is made out of black velours/velvet and closes with black decorated buttons. 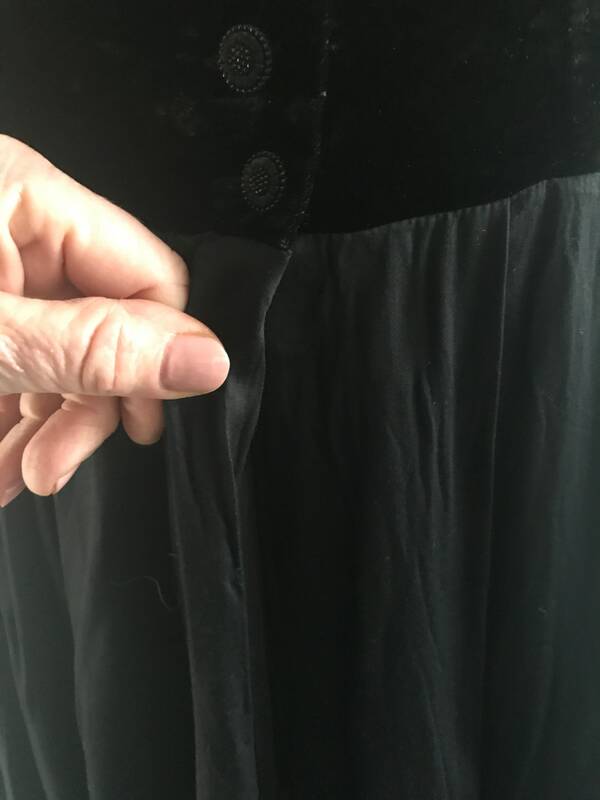 The short sleeves are ruffled and has tulle lining. 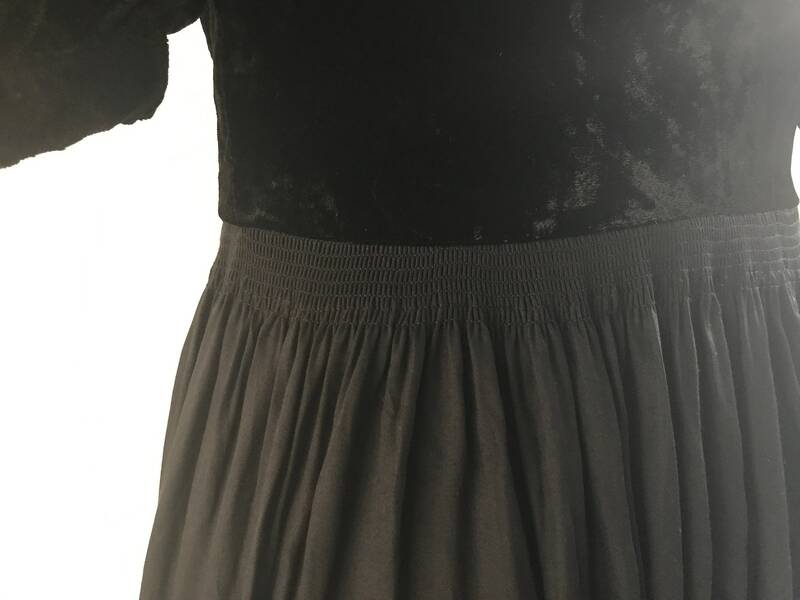 The wide skirt is made out of beautiful black smooth fabric. 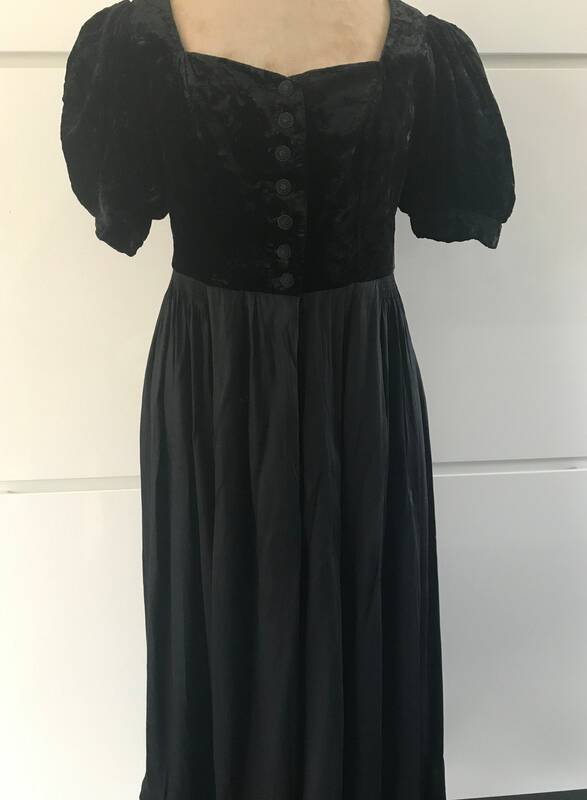 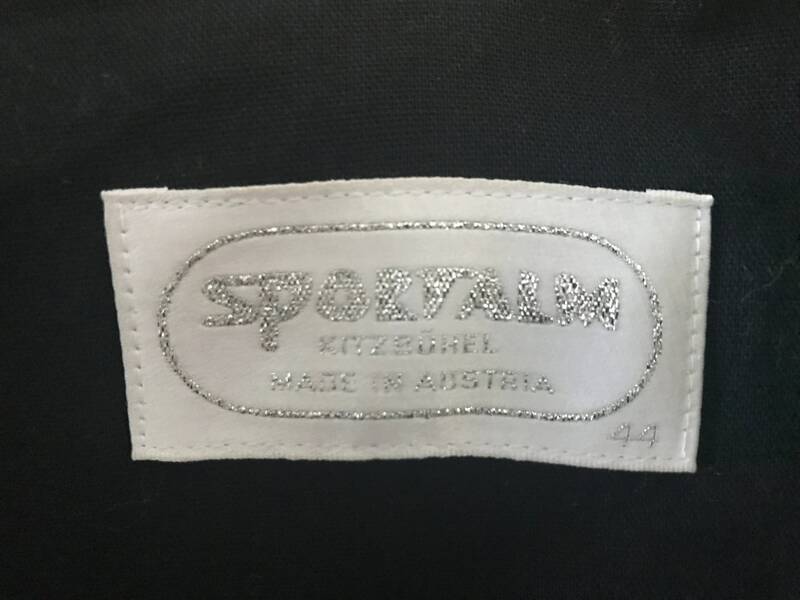 No label but I guess it is synthetic with cotton. 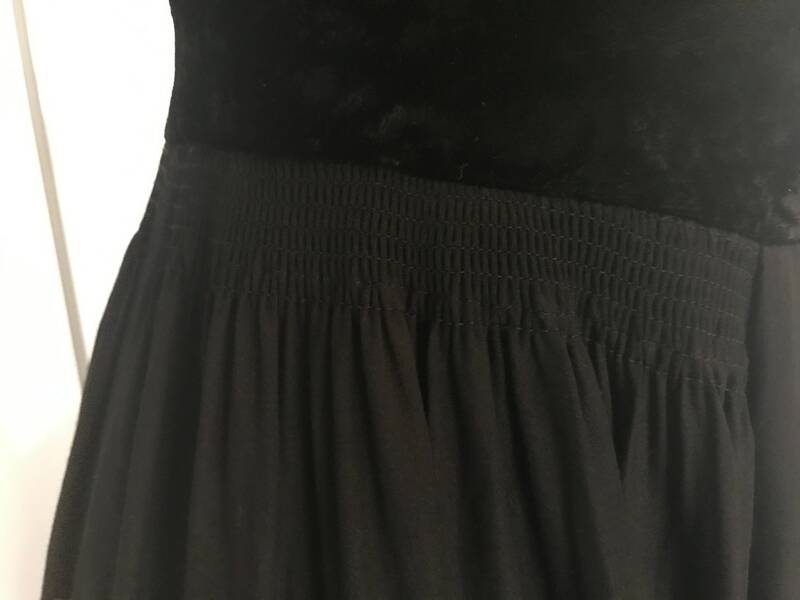 The dress is in a very good condition!